Daffyd, a Bullmastiff owned and bred by Peter Myers and Deborah Morgan, from Porth, Mid Glamorgan, won the Junior Warrant Winner of the Year competition final at Crufts 2018 yesterday (Thursday 8th March), handled by Peter. Daffyd (whose official Kennel Club name is Champion Optimus Daffyd JW) is two years of age and has had a great start to his dog show career, winning the Junior Warrant, an award for pedigree dogs from the ages of 6 to 18 months which have won a series of first prizes at both open and championship dog shows, and has now followed this up with a major win at Crufts at the NEC, Birmingham. Daffyd and Peter were up against nine other finalists for the coveted title but Daffyd and Peter wowed judge Robin Newhouse in the exciting final. Caroline Kisko, Kennel Club Secretary said: “Congratulations to Daffyd and Peter for winning Junior Warrant Winner of the Year – the pair clearly have a fantastic relationship and they are obviously going places, as Daffyd is a Champion already. The Junior Warrant Winner of the Year competition is held annually and is for dogs which have gained the title of Junior Warrant during the previous year. 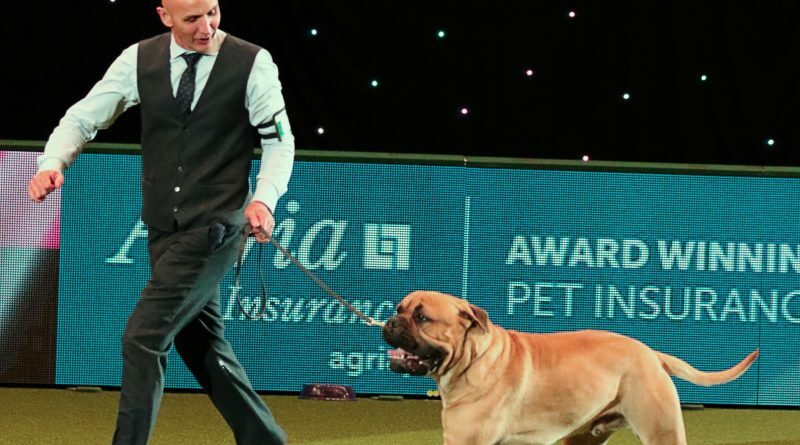 Achieving a Junior Warrant is one of the highest levels of success for young pedigree show dogs. There were heats held throughout the UK in 2017, with five dogs and a reserve selected by the judge at each of the heats. 60 top young dogs and their handlers were then invited to the semi-finals at the Kennel Club’s Eukanuba Discover Dogs event at ExCeL London, where ten finalists were selected to compete at Crufts. Runner-up in the Junior Warrant final yesterday was the Chinese Crested, Twice As Nice Seven Monkey Fury JW, owned by Donna Crow of Peterborough, Cambridgeshire in partnership with breeder Sanna Wrising of Sweden. Owned by David & Roxanne Simms. Owned by Maureen Sale & Janet Lewis. Owned by Tamsin Baker & Isabelle Baker-Rouillier. To find out more about the Junior Warrant Winner of the Year competition, please visit www.thekennelclub.org.uk/juniorwarrant.